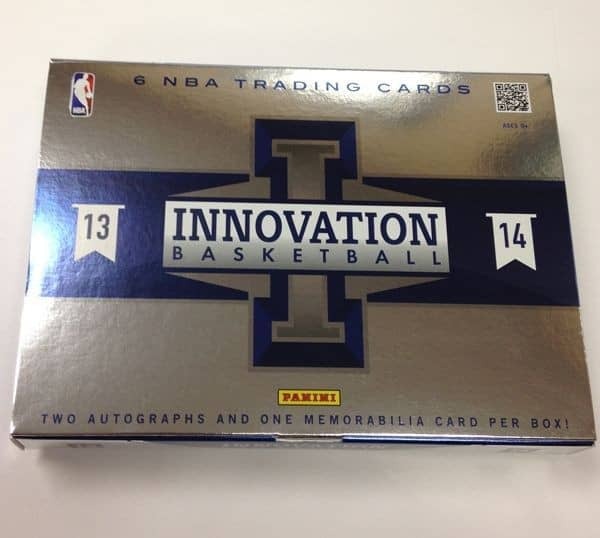 Factory Sealed 2013/14 Panini Innovation Basketball Hobby Box mit 1 Pack a 6 Cards per Pack. 2 Autogramme, 1 Memorabilia Card, 1 One View Card, 1 Stained Glass Card und eine weitere Insert Card per Box ! 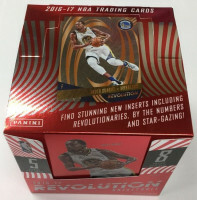 Produktinformationen "2013/14 Panini Innovation Basketball Hobby Box NBA"
Find NEW Main Exhibit Signatures featuring a Hard Auto in a unique Shadowbox Design! Look for super-short print Kaboom Cards featuring a brightly colored design and falling ONE PER CASE, on average! Find Stat Line Jerseys featuring a Jumbo Swatch from a player's particular great performance! Pull some of your favorite returning inserts including Swat Team, All-Rookies, and the One-Per-Box Stained Glass Cards! ROOKIE VIEW: SEE SOME OF THE NBA'S BRIGHTEST YOUNG STARS IN THIS UNIQUE, SEE-THROUGH CARD! KABOOM! : LOOK FOR THE LAKERS LEGEND IN THIS SUPER-RARE ILLUSTRATED INSERT! STAINED GLASS: LAST YEAR'S POPULAR INSERT IS BACK WITH A COLORFUL NEW TWIST! SWAT TEAM: GET A COURTSIDE SEAT TO WATCH SOME OF THE NBA'S TOP SHOT SWATTERS IN THIS AWESOME INSERT! TOP NOTCH AUTOS: WHAT'S BETTER THAN AN AUTOGRAPH FROM AN NBA STAR? HOW ABOUT ONE WITH THIS FANTASTIC DIE CUT! STAT LINE JERSEYS: HOLD A PIECE OF A JERSEY FROM YOUR FAVORITE PLAYER'S BIG GAME IN THIS UNIQUE JUMBO MEMORABILIA SET! 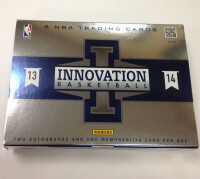 Weiterführende Links zu "2013/14 Panini Innovation Basketball Hobby Box NBA"
Fanbewertungen für "2013/14 Panini Innovation Basketball Hobby Box NBA"